WTF is going on here!? Location : Wherever the heck I wanna be! Sheesh. 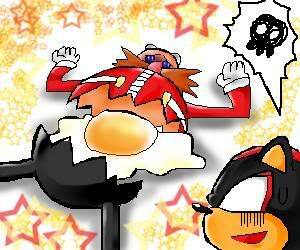 Humor : Anyone want some scrambled Eggman? .....I thought so. 90% of girls would cry if Twilight was never going to be sold again. If you're one of the 10% that would celebrate, paste this on your siggy! Subject: Re: WTF is going on here! ?